You have seen this bag everywhere. It’s not an original…but it is a trendy style. The Ark clutch has been popular with bloggers, stylists, and fashionistas alike and now you don’t have to spend a portion of your paycheck on this season’s hottest style. 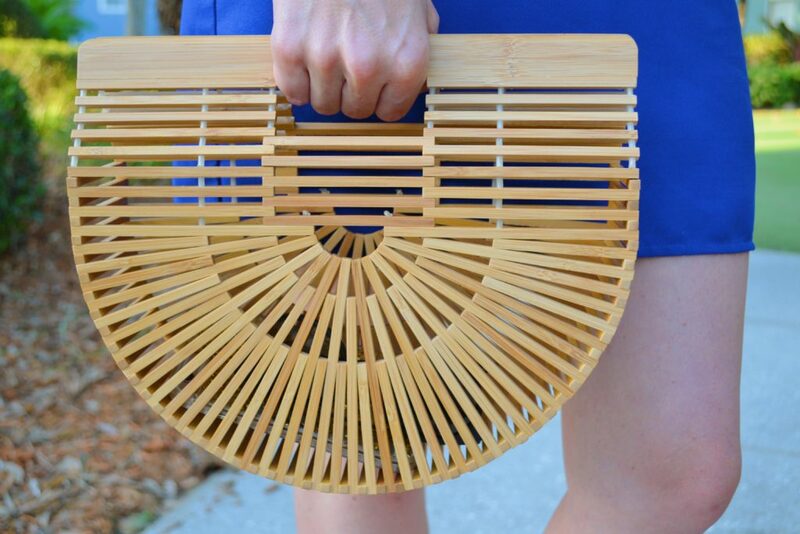 This bamboo bag is a dupe of the cult classic you have been seeing all over social media and retails on Amazon for under $50. 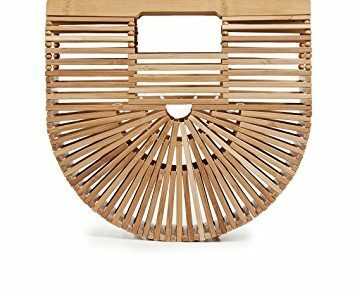 If you’re looking for a summer bag that will make any outfit feel more in season, with unique architecture, this is the piece to add to your summer line up. I ordered the small and it’s the perfect size to take out on the weekends. 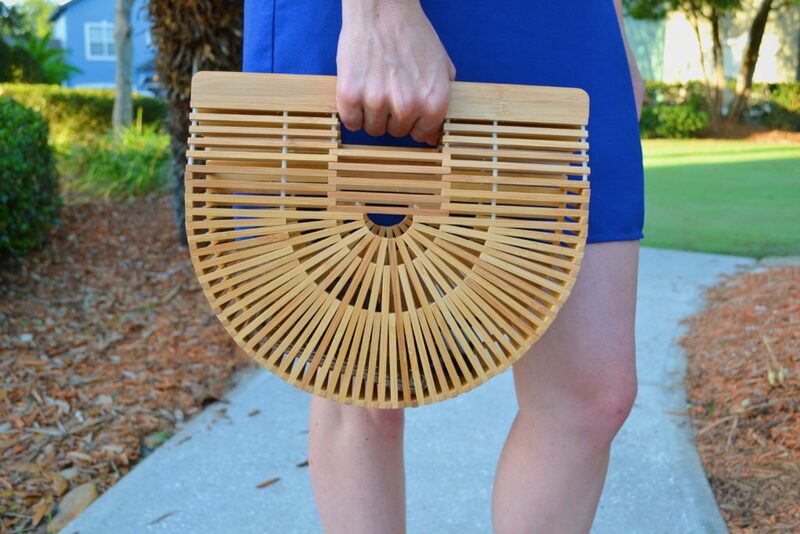 This wooden chic look is perfect for the beach, or can be dressed up for a night out. 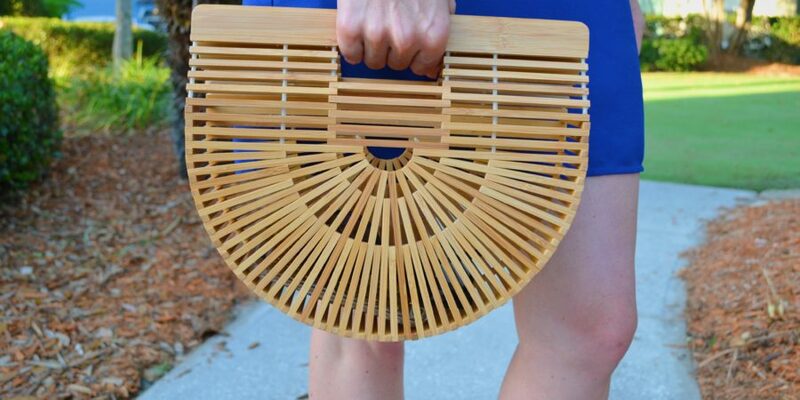 The bamboo is tight so you can’t really see what is going on in the purse, but it is see-through. When I want to keep all my things together, I usually add a small zippered clutch or oversized wallet that fits inside the bag. 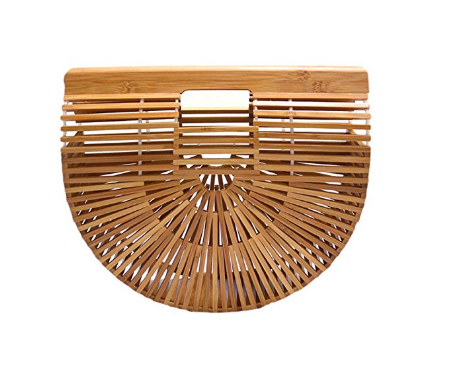 If you want the OG bag in this style, the Cult Gaia Ark Clutch retails for $128.00.